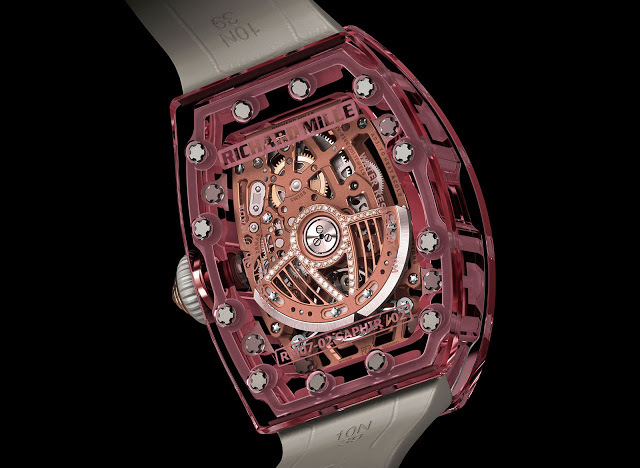 Inside is the calibre CRMA5, a partially skeletonised, automatic movement. 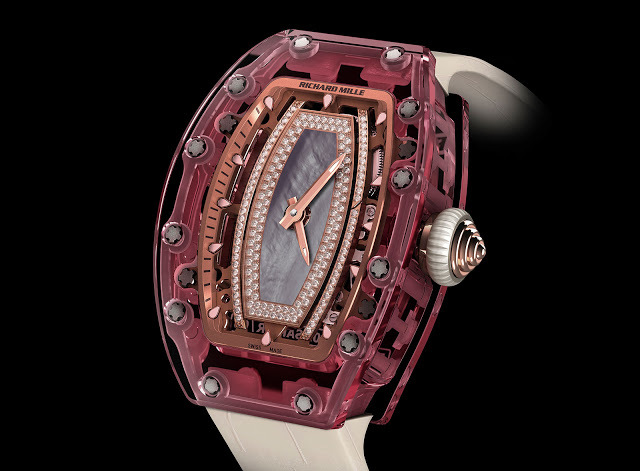 Though mechanically identical to the movements found in simpler RM007 models, this has solid red gold bridges and plates. 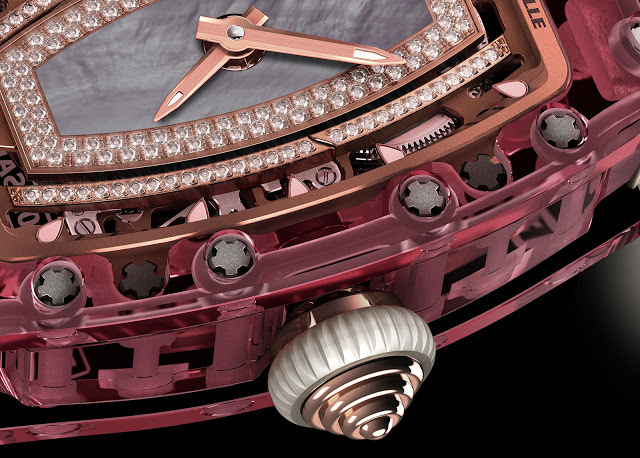 And the rotor as well as base plate are set with round diamonds for extra bling. Like all other self-winding Richard Mille watches, the RM 07-02 has a variable inertia movement with a winding speed that can be adjusted to suit the wearer’s physical activity.